A basic tenet of the psychology of relationships is called the Principle of Reciprocity. This principle defines the human need and tendency to want to give something back when something is received. This need is strongest when the gift is given without expectation of return. 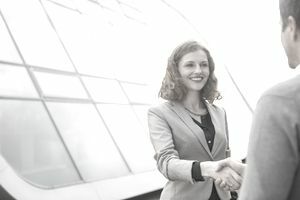 But even at the lowly (but important) level of simple social graces, a “thank you” (in response to an act of kindness or compliment) is still followed by another reciprocal gesture of accommodation “you’re welcome.” Not only are we compelled to give something back when a gift is received we are also compelled not to feel indebted to others. The strongest and longest lasting interpersonal relationships are based on the Principle of Reciprocity, and this extends far into the best relationships between sellers and buyers. How can I make my customers feel as though they are being given something of value so that they do not feel like they are the only ones giving me something (their business)? Can I offer coupons, bonus points, special discounts, or privileges? How can I let customers know the best way to “thank” my business for providing them with a positive experience? Be the First to Give Something: Give something, without the perceived expectation of return, such as a gift, bonus points, discounts, or something exclusive to the customer not offered to the general public. Offer some “gift” incentive upfront, rather than at the end of a sale. Your gift should be offered first, before the buyer’s “gift” of giving you their business. However, to further capitalize on the Principle of Reciprocity offer another incentive when the sale is made for future business or the customer’s friends. Offer Customers Ways to Show Their Support: Tell your customers how they can thank you and help your business grow by including volunteer opportunities, “tell the media,” “link to us,” “email a friend” link options. Or even “submit your story” options. Some companies now offer blogs and forums where happy customers can report or rate their experience with your business. Keep the Relationship Going - Thank Your Customers in a Meaningful Way: Include a personalized thank you when the order is sent and whenever possible. Do not just say “Dear Customer; We thank you for your business.” It seems like a token gesture, not sincere enough – this is especially important if you use the services of volunteers or rely on donations to support your organization. Be the Last to Give: You first gave an incentive, then the customer gave you their business. Give your customers the option of staying in touch and showing their ongoing support by offering a free newsletter or to be added to a mailing list for coupons, product updates, etc. While this is not a “gift,” and, you are expecting something in return (the prospect of future business) it allows customers who identified with your business to stay connected. The Principle of Reciprocity describes a human need for a give and take in a relationship. For the “gift” to have the most meaning, it needs to be offered in a way that seems genuine, without the expectation of return. But in business, there is an expectation of return; therefore, the Principle of Reciprocity should be built on trust by offering incentives to customers, but also by offering customer service and complaint resolution policies that inspire that trust.